The paper concerns the use of integrated methodologies and tools to perform innovative human centered development of products. 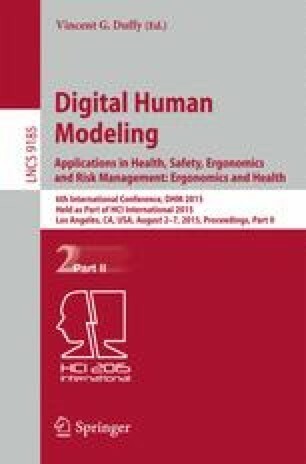 Digital simulation of ergonomics by means of DHM is shown together with advanced tools for design, taking into account Knowledge-based systems, Design Automation and design of highly customized goods. Two different applications of the proposed approach are described, the first refers to an industrial product, the second to the medical domain. Both applications, even if belonging to completely different fields benefit from putting the human at the center of the developing paradigm from the very first step of product development. Some results and discussion highlight benefits and limitation of the approach and of the adopted tools.